Practicing good oral hygiene includes flossing. While brushing is the most important part of oral hygiene, flossing is equally important. Flossing can remove plaque and build-up from in between your teeth and below your gum line that your toothbrush cannot reach. Here are some proper flossing techniques from your local dentist in Gilbert, AZ. Slide floss up and down between each tooth. Follow the natural curve of your tooth to ensure that maximum amount of plaque is removed. After doing in between each tooth, floss the back and front of each tooth making sure to get below the gum line. Use a clean section of floss of each tooth. If you have any more questions regarding flossing techniques or would like to schedule an appointment, give Power Ranch Dental a call at (480) 988-2282. 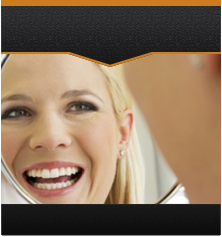 We would love to have you with any and all of your dental needs!